1858: The French Government introduced the striped breton shirt as part of the official uniform for the French Navy. The stripes were said to make a man more visible in the water if he were to fall overboard. 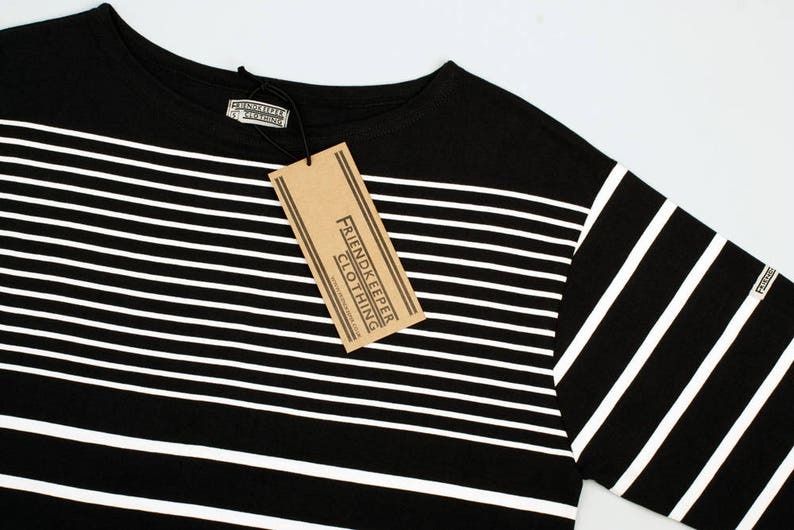 2014: Friendkeeper developed the Original Friendkeeper Breton Shirt. Marrying the heavyweight and relaxed-fit nature of the traditional breton with a unique stripe pattern inspired by a sailor shirt owned by the iconic James Dean. From the boat neck collar down to the side hem slits this garment has been carefully designed to not only raise a salute to classic nautical style but to provide day-to-day comfort - a pleasure to wear. - LIMITED RUN - once they are gone, they are really gone. Order today to avoid disappointment! Our Friendkeeper breton shirts are designed to be a relaxed fit so please bear this in mind when choosing your size. comfortable and amazing in every way !!! !